Gregory Carastro, LVT is the Hospital Administrator & Director of Human Resources at the Veterinary Medical Center of Long Island. 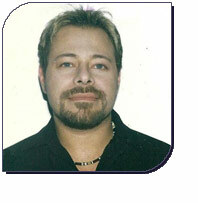 He has over 20 years of experience as a licensed Veterinary Technician and Hospital administrator in the Long Island Veterinary Community. Before joining the VMCLI management team he held the position of Director of Veterinary Operations and Practice Consultant for Bideawee’s three NYC offices. Mr. Carastro is accomplished in all facets of practice management and is a highly skilled technician and leader within his field. He was a welcomed addition and a tremendous asset to our team. As the VMCLI Hospital Administrator & Director of Human Resources, he is responsible for ensuring the continued success and growth of the practice and maintaining the highest quality medical care and customer service standards for all of our patients and clients alike. He has been instrumental in developing training programs and opportunities to enhance our employee’s professional development and our visibility within the community. Additionally, he has extensive training with OSHA compliance standards and has meticulously updated all our practice safety and disaster preparedness protocols. Gregory serves as an active member and Deputy Training Officer for the Federal Reserve’s – National Veterinary Response Team. He volunteers and sits on the Board of Directors for Pets Without Vets, which is a not for profit organization with the Mission to enhance the human-animal bond and promote the welfare of animals by providing veterinary support, humane education and resource development to international communities in need. Gregory lives on the South Shore of Long Island with his partner and their menagerie of rescued pets. Never tiring, he spends much of his free time traveling and volunteering his skills for various international free spay neuter campaigns serving less fortunate communities.